Left the love hotel and shot off to try and get a glimpse of Mt Fuji, I got just that for about half a second, just enough to make out the shape of her. Wasn`t to disappointed, how could I be? I`m still riding a motorbike around Japan on my way to Denmark!! Got onto the expressway and decided to try and make it to Suzuka, did just that but not until about 10:30pm and then couldn`t find a place to stay (which is starting to be a bit of a theme). Finding it difficult just due to the signs, I tend to look at the shape of the building to try and work out if its a place to sleep instead of the signs! The signs all seem to be different for the same thing, the sign on the Ryokan where I stayed looked nothing like any other Ryokan signs I`ve seen, I can`t work it out really. They`re not real big on putting symbols on things, like a picture of a tent to indicate camping grounds etc. Actually I`ve never had this much trouble finding a place to stay before! 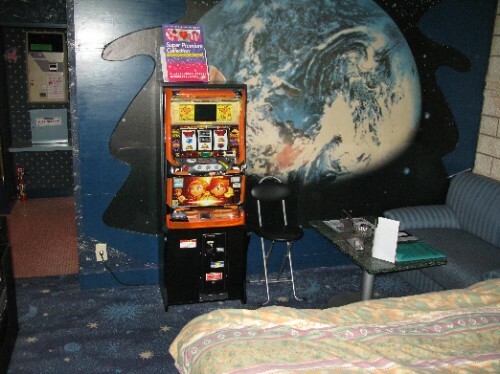 Anyway, I ended up at another love hotel, the second time it was just a bit crap really, not funny anymore, just weird. I was heaps tired too which didn`t help much, love hotels seem to be pretty noisey sorta places...lots going on I guess!! Got some sleep at least. My other BIG problem is a lack of cash, I have two credit/debit cards with me (a Visa and a Mastercard) that don`t work in any of the Japanese ATM`s. I did know this before I left, but guessed there would be enough international bank ATM`s (like Citibank) to get by. Well there`s quite a few in Tokyo and not many anywhere else... so tomorrows job is find some money!